WINTER SPRINGS, Fla., April 19, 2018	(Newswire.com) - Start the engines. 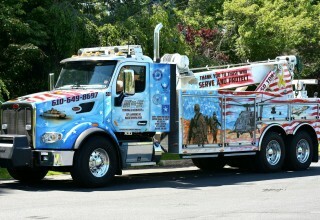 The annual Shine 'n Star tow truck photo beauty contest is ready to take a gander at gorgeous tow trucks. 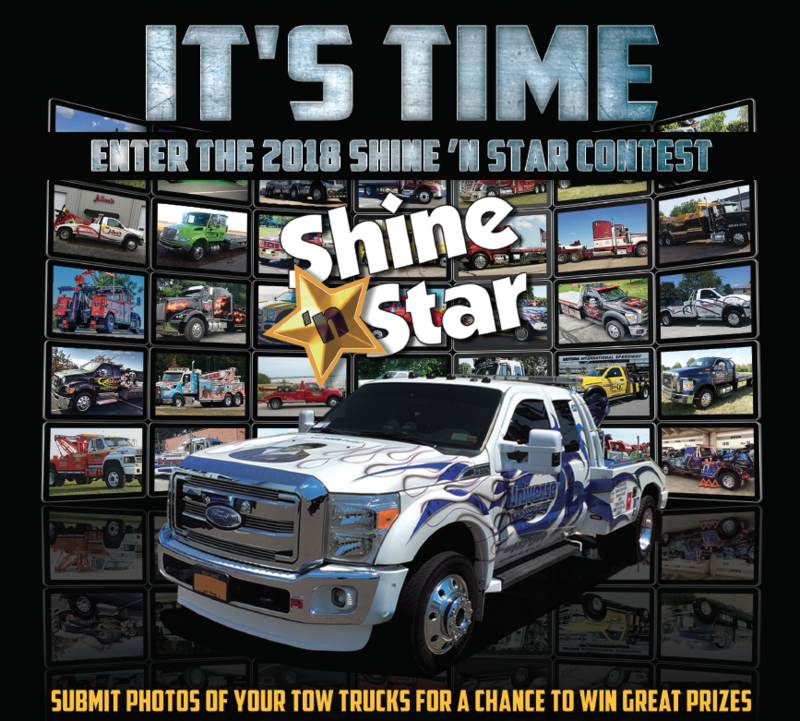 For the 27th consecutive year the Shine 'n Star contest, which is hosted by "Tow Times" magazine and powered by Ford Trucks, will pick the best-looking tow trucks in North America with Grand Prize, People's Choice, First, Second, and Third prize winners. It's a tough call but somebody has to do it. In 2017, hundreds of entries were submitted to the competition from the United States and Canada. The 16 winners hailed from 13 states. 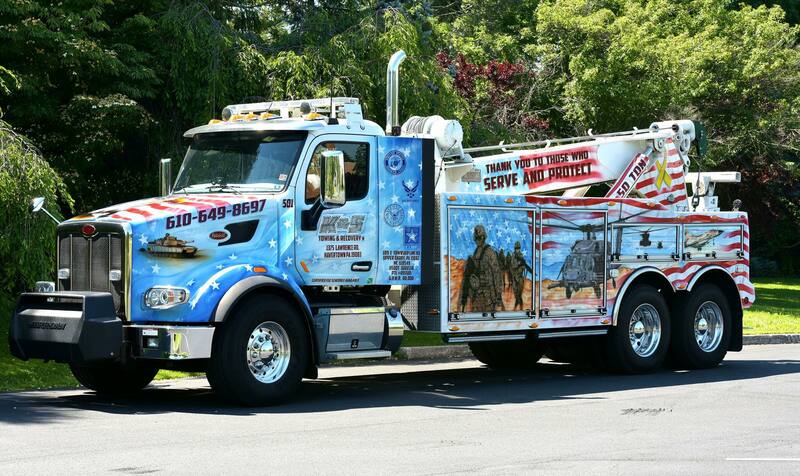 The Grand Prize winner was a military-themed, patriotic show-stopper from K&S Towing & Recovery Inc. of Havertown, Pa.
Don't be fooled by its good looks. 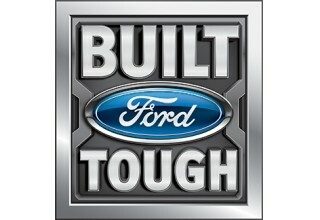 All the winning trucks look like beauties but work like beasts. K&S Towing's truck is a 2016 heavy-duty tow truck with a Peterbilt chassis and Jerr-Dan Corp. 50-ton JFB towing unit. Towing company owners and operators are proud of their wreckers. They feature the trucks – from light- to heavy duty – in local holiday processions and parades. 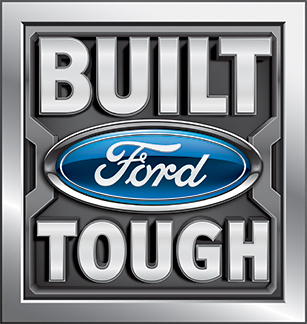 They invite children for a close-up by participating in events such as Touch-A-Truck. 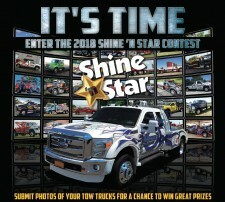 The Shine 'n Star tow truck contest is the largest tow truck photo beauty contest in the U.S. 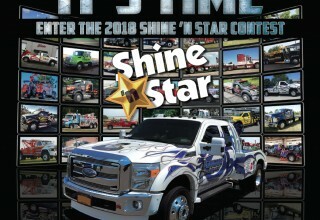 In addition to cash prizes, the Shine 'n Star People's Choice, Grand and First Prize winners are featured on a future cover of "Tow Times" magazine with an accompanying profile. Second- and third-place winners will be mentioned in a single issue as well. It's simple to enter. Visit TowTimes.com/shine-n-star to submit an online application. 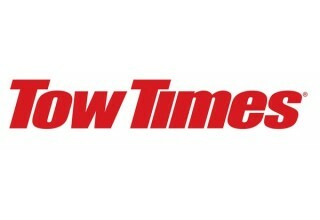 Entries also can be submitted via "Tow Times'" Facebook page at https://www.facebook.com/towtimesmagazine. For more details about the Shine 'n Star tow truck photo beauty contest, contact Nick Mello at nmello@towtimesmag.com or 407-706-6852.